The January 2019 LEGO Store Calendar is now available at LEGO.com. Perhaps the most important change to their calendars is that monthly freebie gift promotions are no longer listed on the calendars. They are now shown directly on LEGO Shop at Home on the first day of the month. 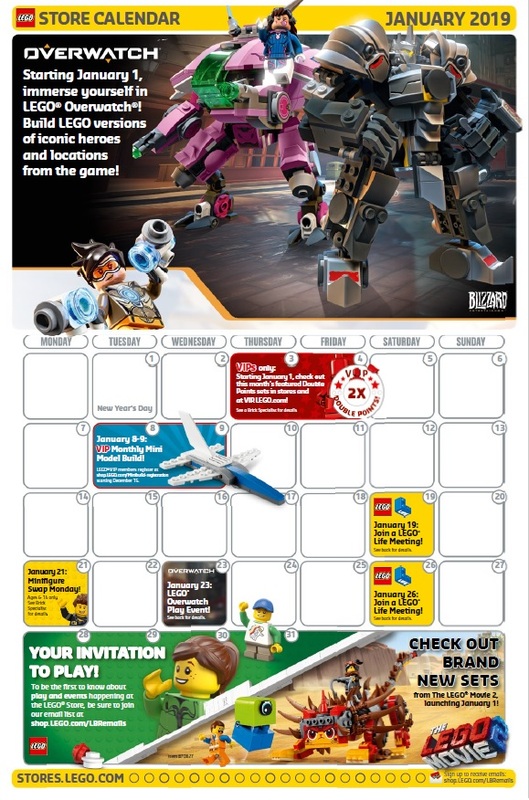 The January 2019 LEGO Store Calendar promotes the new LEGO Overwatch sets along with a few LEGO Life meetings happening this month.